Hawaii CC Instructional Technology is using Smore newsletters to spread the word online. Please take 1 minute to answer 3 questions. Are you interested in meeting with other online faculty? Hawai`i CC online instructors have met once every semester to share information, tools, and ideas. We believe the meetings were helpful when the college was preparing for accreditation; and the meetings have also created connections and camaraderie among this unique group of professionals. However, in light of the increasing demand on everyone's time and the challenge of finding the right time for a F2F meeting, we are asking for your input. If you have already responded to our earlier email, we say MAHALO! 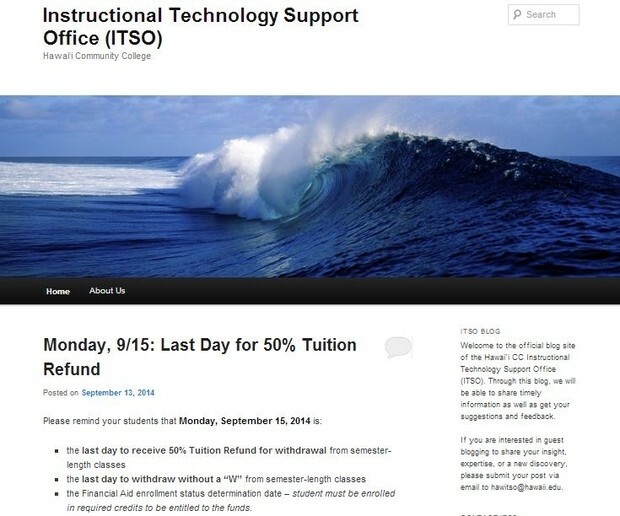 You can still let us know HERE at the latest BY MONDAY, 9/15/2014. 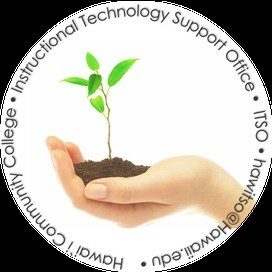 We announced earlier of the ITSO Blog and hope you find it useful for online teaching and keeping up with relevant technology. Through this blog, we will be able to share timely information and get your suggestions and feedback. The Laulima ITSO-Dev site will continue to serve as a model template, to send announcements, and to hold useful resources. We hope you will subscribe to our blog, or you can check in regularly for updates and relevant information. If you are interested in guest blogging to share your insight, expertise, or a new discovery with your colleagues, please submit your post via email to hawitso@hawaii.edu. The Blog could be our new platform for sharing and collaboration, so we would love to hear your thoughts. Please let us know in the survey and in blog comments.